Exploring ideas such as giving out caps, polo tees, jackets, bags or corporate tees in your next events? Consider giving out high quality apparel with embroidery on them because embroidery elevates the perceived value of the gift. We can provide customised design embroidery services in Singapore, as well as offer you choices of great products and embellishments. For caps, you can consider the traditional 2D Embroidery on the various panels of the cap. The most common embellishment is embroidery on the front crown. Typically, the size of the embroidery can be from 1cm to 12cm wide. For the side panels, most logos can be embroidered at the max of 5 to 8cm width. Make your caps even more outstanding by opting for 3D Embroidery on the front panel. 3D Embroidery of text on the front of the cap looks impressive and bold. This is beneficial for branding or marketing purposes at events of all sorts. 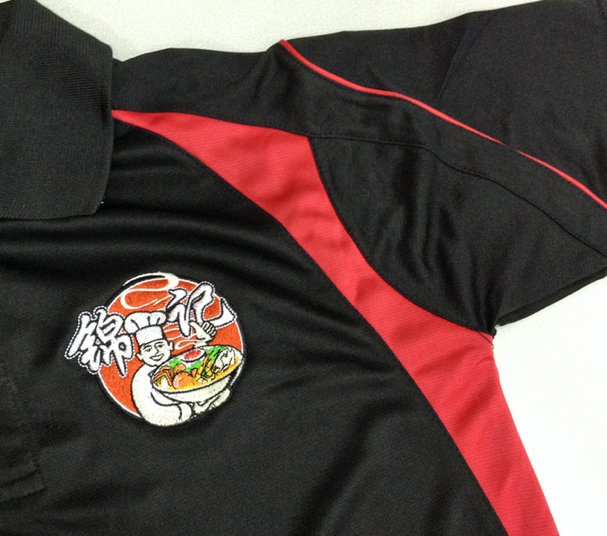 3D Embroidery offers high visibility, to shout out a message or brand. Customise the caps further! Ideas include stitching hook and loop patches on the sides so that embroidery badges can be adhered onto the caps. Consider also, embroidering individual names in bright colours on the sides of the caps for a special gift to present to your guests or customers. 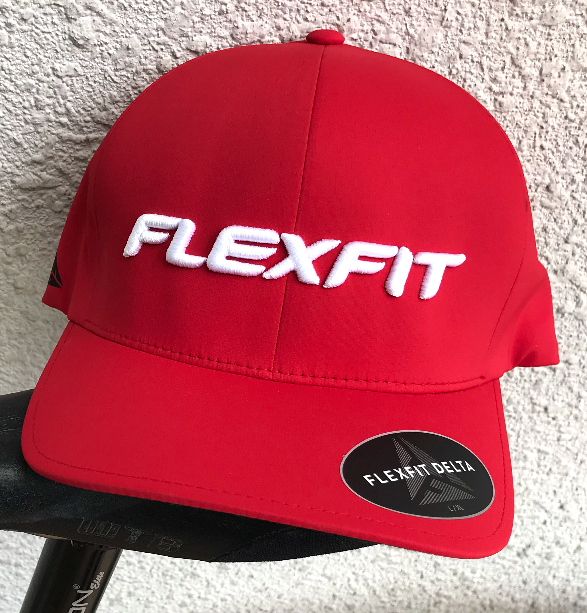 Increase the value of the caps by choosing from our range of Yupoong Flexfit Caps. These branded caps are made of premium quality and offers maximum comfort. Choose not only from solid coloured caps, choices include heather and patterned fabric caps. Choose great caps to complement your custom jackets, bags, corporate and event tees! Another apparel item to consider adding customised design embroidery on is the polo tee. Embroider your logo, text or individual names on the polo tees. You can choose to embroider on many positions of the polo tee such as the left/right chest, sleeves, upper back and even the corner of the collar. You customise the polo tee with logos of many colours! We use high quality, vibrant coloured thread from Germany for the best visual effect. You can also choose high quality polo tees, t shirts, jackets and bags from well-known brands such as adidas or Under Armour to customise with embroidery. The association with these brands may elevate the perception of your company or brand. Embroider logos, taglines or even hashtags to jazz up the branded products! Corporate and event tees can be fun and effective with a dose of creative thinking! Consider a holistic marketing approach with your apparel. Corporate tees can be customised from scratch – choose your fabric colours and how the panels join up together! Choose to add pipings or trimmings as subtle details. With a great base tee, the embroidery can be designed to complete the look. 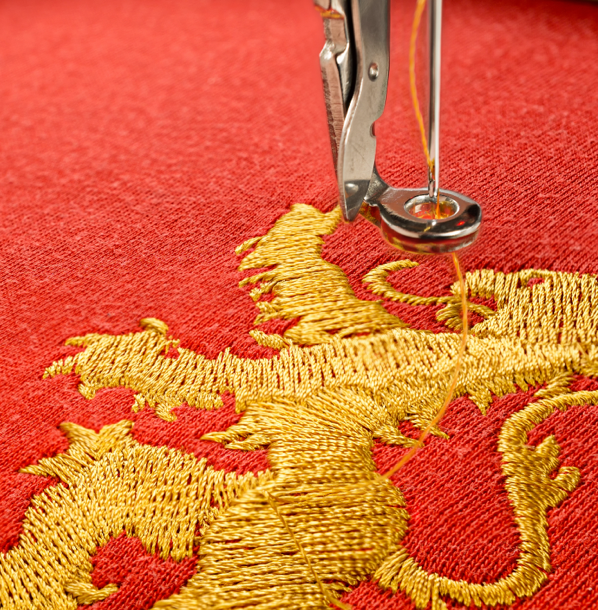 Our customised design embroidery service guarantees a high quality result. An option is to use badge embroidery – where you can print or embroider on a badge and have it stitched on a corporate polo tee’s left chest. Create variety within the branding guidelines of your corporate brand. Unlike the conventional silkscreen printing on the front and back of event tees, you can consider doing something different such as embroidery on event tees. Typically we think of embroidery of smaller artwork such as logos, however embroidery can be done at a bigger size on event tees. Sackpacks, backpacks, duffle bags, toiletries bags, shoe bags. Personalise the bag with your custom embroidery. Choose to embroider on the front pockets, top covers, carry straps or the back of the bags! Depending on the design and material of the bags, not all areas of the bags are suitable for embroidery. We will have to assess the bag before recommending the positions where embroidery can be done well.